These are all the Blogs posted in December, 2014. We departed from Stamford, CT on November 10, 2014 and arrived to Punta Gorda, FL on December 13, 2014. 3 days in Atlantic City, NJ waiting for weather. 1 day in North Beach, MD waiting for weather. 3 days in Smithfield, VA visit friends. 1 day in Swansboro, NC visit friends. 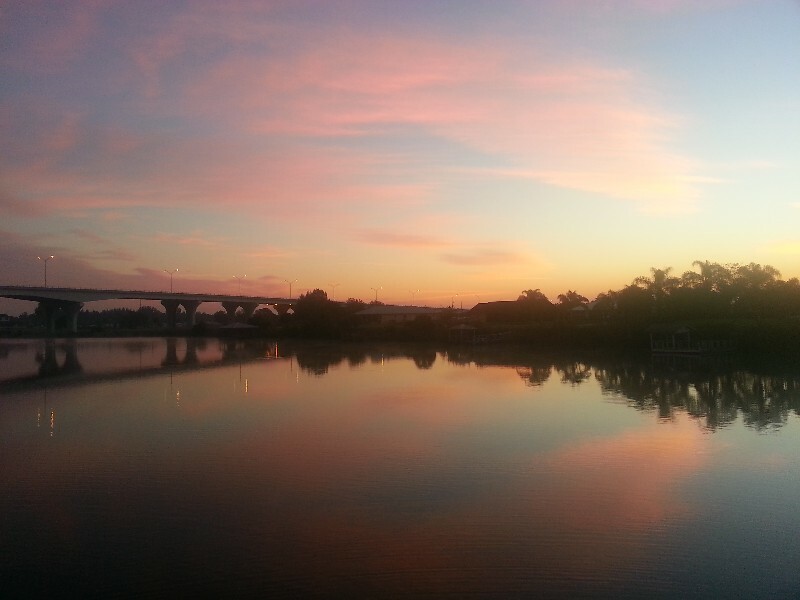 We departed from Fort Myers this morning at 0800 on the last leg of our 2014 trip south. This is both a sad day and a happy day. Sad that this ends our cruising till spring of 2015 and happy that we are back to our winter home. Being a Saturday there were tons of boats on the water going in all directions. Radio was very busy as well. We were lucky in that we had a favorable current with us most of the day and it shortened our typical 8 plus to 7.5 hours arriving at 1530 with an awesome welcoming party on the dock to meet us as we docked. Very nice to see all of our winter dock mates and I'm sure there are a few new ones we will meet. We are docked in Fishermen's Village Marina slip B-13till sometime in April 2015 at N26°55.740', W082°03.824'. We traveled today for 7.5 hours covering 53.6 nautical miles averaging 7.1 knots. The Christmas festival was small but we did get some great burgers for dinner hot off the grill at the festival and the fireworks display was short but awesome being so close. We departed this morning at 0700 with the sunrise producing a spectacular sky. The waterway had a mist hanging over it and everything together was pretty cool looking. Destination planned for today being Fort Myers. Had two locks and several bridges but only one bridge that we would need opened. 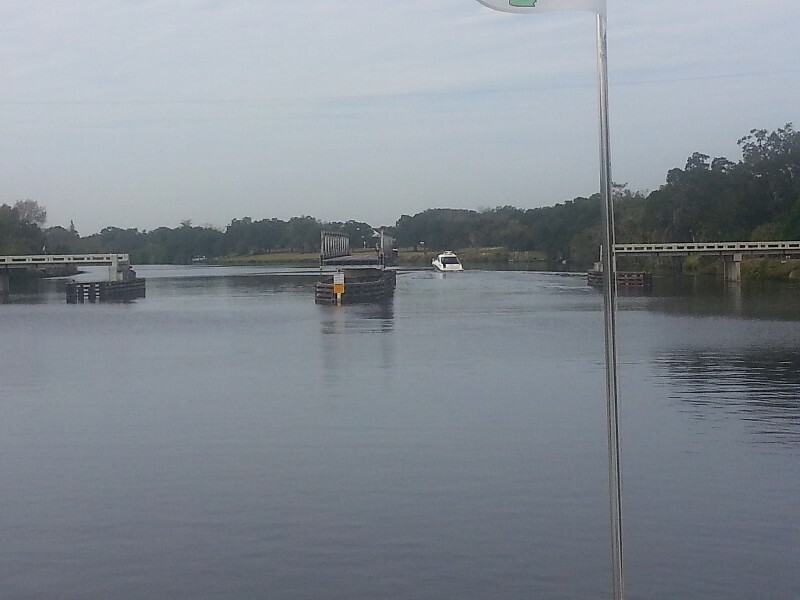 Both the Ortona Lock and Franklin Lock went very smoothly... dropping 8 feet at Ortona Lock and 2 feet at Franklin Lock. We had the Fort Denaud Swing Bridge between these two locks which went very quickly with no delay as another boat arrived before we did and requested teh opening so the bridge was wide open as we arrived... did not even have to slow down. Since we were stopping Fort Myers we made some last minute plans to see my two sons and their families for dinner. Have not seen them since March and anxious to see them and the grand kids tonight. 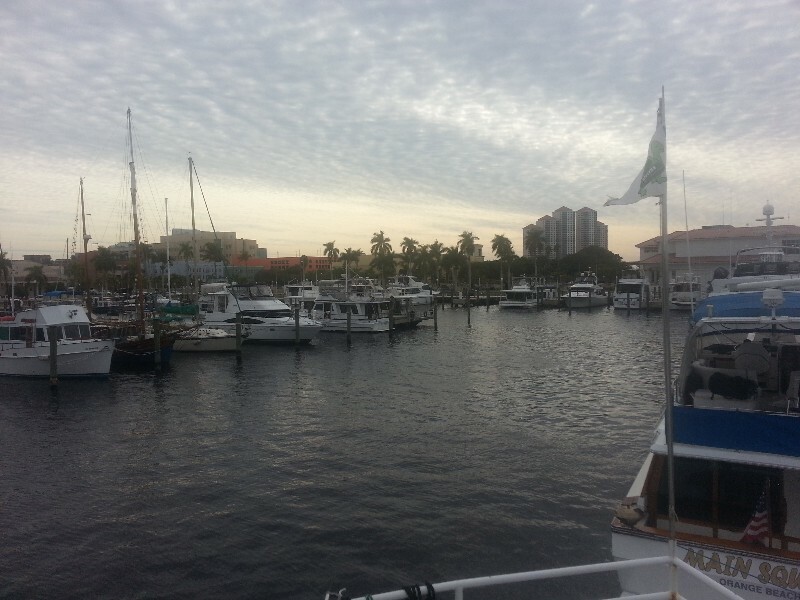 We arrived to our destination at the City of Fort Myers Yacht Basin at 1400 and were securely docked at 1415. Our location for the night N26°38.849’, W081°52.212’. We traveled today for 7.25 hours covering 47.7 nautical miles averaging 6.6 knots.